Build Enough Bookshelves: Book Reviews: How and Why to Pray; Or Welcome to My Meridian Readers! Book Reviews: How and Why to Pray; Or Welcome to My Meridian Readers! My latest column is up at Meridian Magazine here. 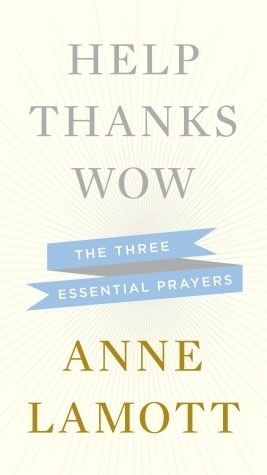 I reviewed two short but meaningful books about prayer: Anne Lamott's Help Thanks Wow: The Three Essential Prayers and Anthony DeStefano's Ten Prayers That God Always Says Yes To: Divine answers to Life's Most Difficult Problems. They both had powerful insights into communicating with the Divine that cross denominational boundaries. I'd really love to hear your thoughts! And if you're here because you already read my Meridian column, welcome! This little blog is just getting off the ground, but I'm hoping to be able to facilitate more discussion here than is possible at the Meridian site. So feel free to comment below and share your thoughts on these great books!